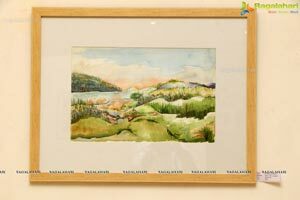 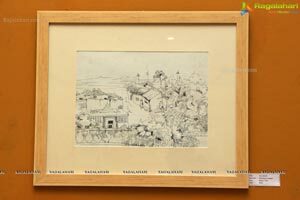 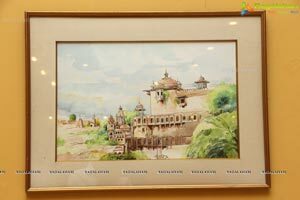 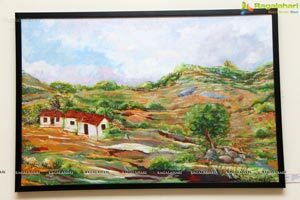 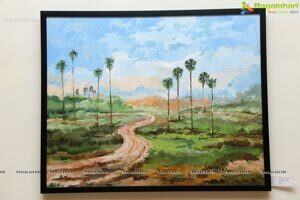 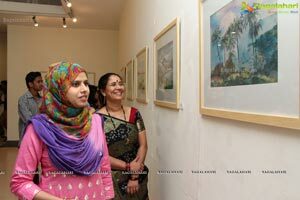 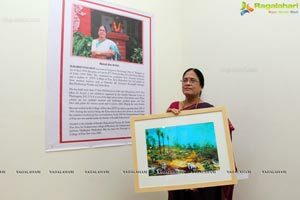 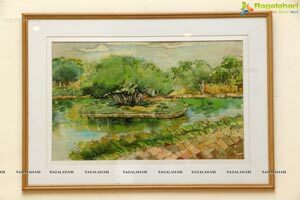 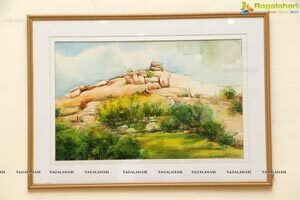 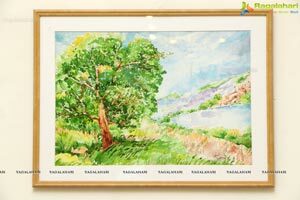 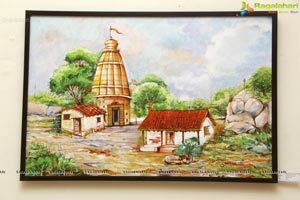 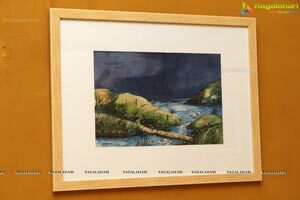 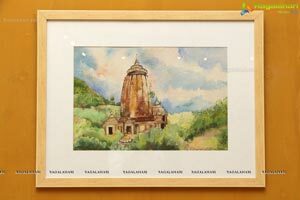 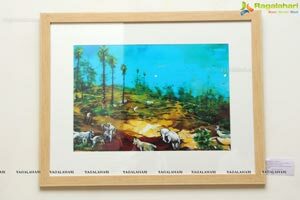 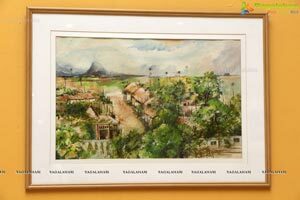 A Special Exhibition of Painting by Smt. 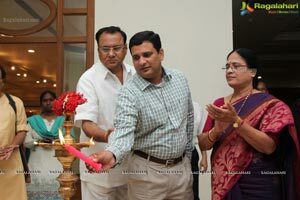 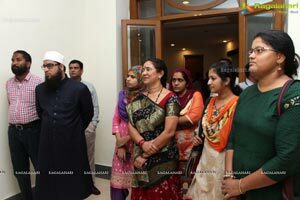 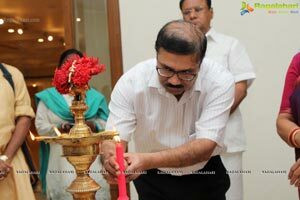 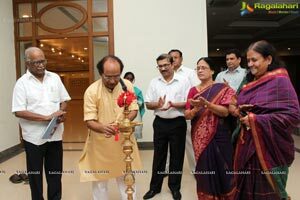 S. Vani Devi was inaugurated at Salar Jung Museum. 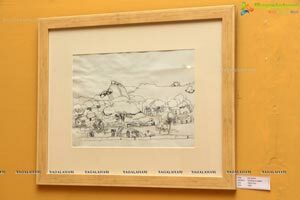 The Show also included 'Kala-Sudha' book review is being organized by Salar Jung Museum, Hyderabad - Ministry of Culture India, Govt, of India. 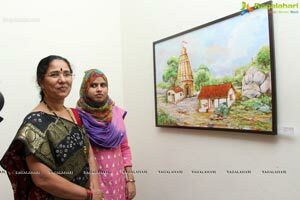 Artist Surabhi Vani Devi, daughter of Late Sri P.V.Narasimha Rao-Former Prime Minister of India, completed her graduation from J.N.T.U, Hyderabad. 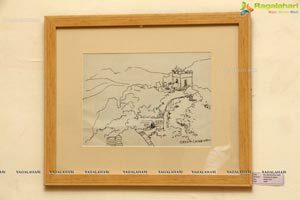 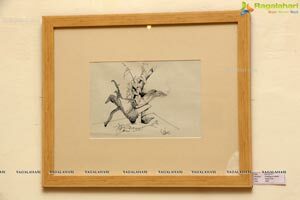 Later She worked as a faculty in the same College-JNTU College of Fine Arts, Masab Tank, Hyderabad. 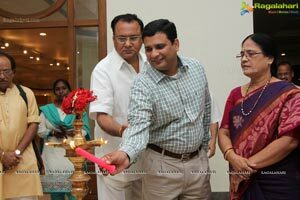 In the year 1991, Surabhi Educational Society was established by Smt. 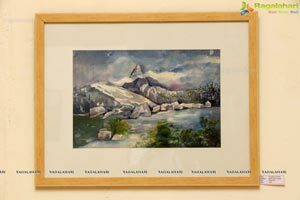 Vani Devi. 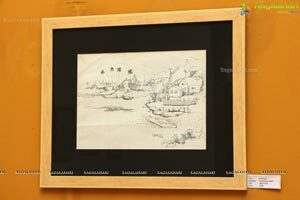 In the same year, Shri Venkateshwara College of Fine Arts started under the banner of same society. 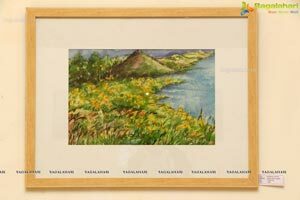 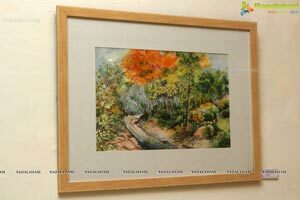 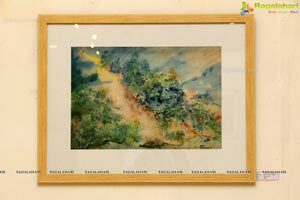 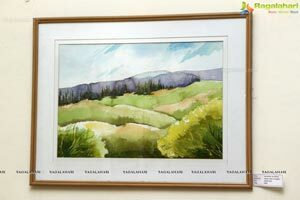 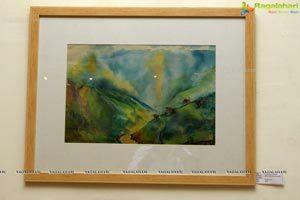 Artist Vani Devi's favorite subject is Nature and medium is Water Colors and Acrylics. 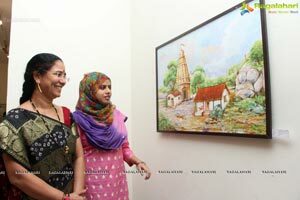 Her paintings are vivid, beautiful and engrossing. 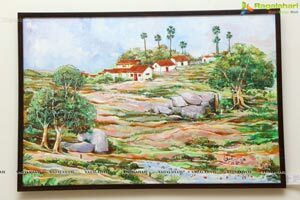 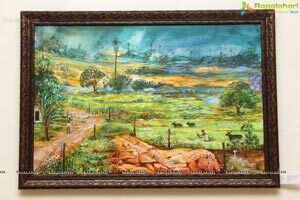 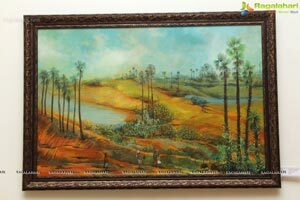 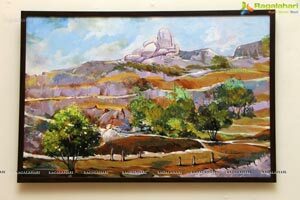 It has theme of rural texture, off-raw style and gives a pew dimension to a landscape painting. 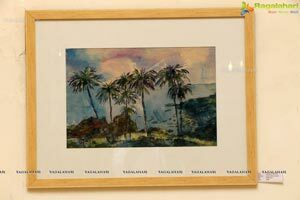 According to Vani Devi 'painting is the universal Language of expression as it conveys the Moods and Emotions'. 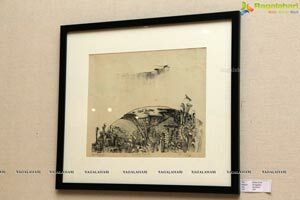 The artist has held more than 15 solo exhibitions, Several Group Shows, Seminars, Talks in Radio and Tv channels in India and abroad since 1973. 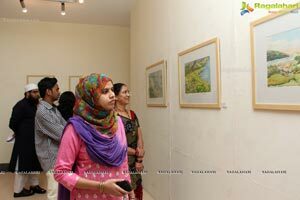 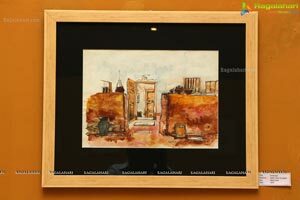 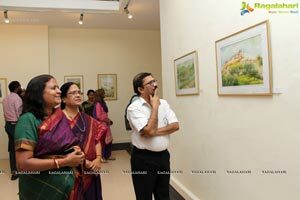 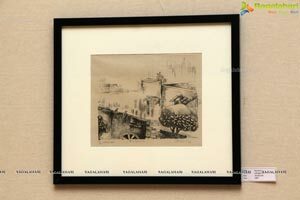 This is the first Special Exhibitions of Paintings Organized by Salar Jung Museum. 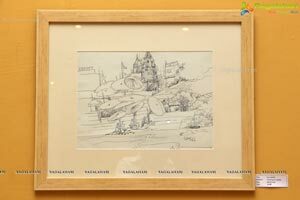 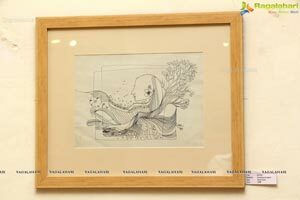 Vani devi has been conferred with a number of Awards & Felicitations by reputed Institutions like Telugu University, Madras Telugu Academy, Bharati Vidyapeet Pune, Chjtrakala Parishad A.P, .M.K College of Visual Arts-Gulbarga university-Karnataka. 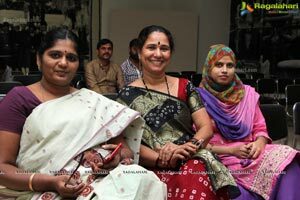 Her latest achievement is the 'Pratibha Puraskar' awarded by Potti Sree Ramulu Telugu University, Hyd. 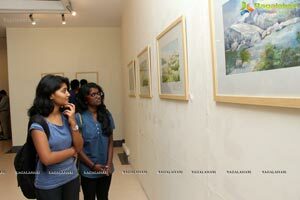 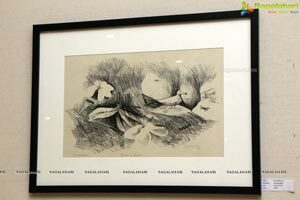 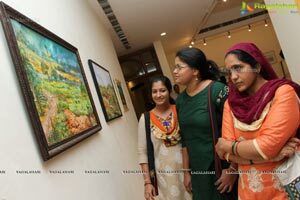 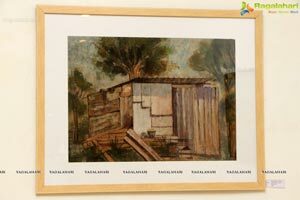 The 10 days show held at Salar Jung Museum will conclude on 12 September.